A CubeSat deployed from the Kibo arm, operated by Sam Christoforetti the week this show aired. Canadarm2 during a capture practice session focusing on backup systems. Click through for more details. 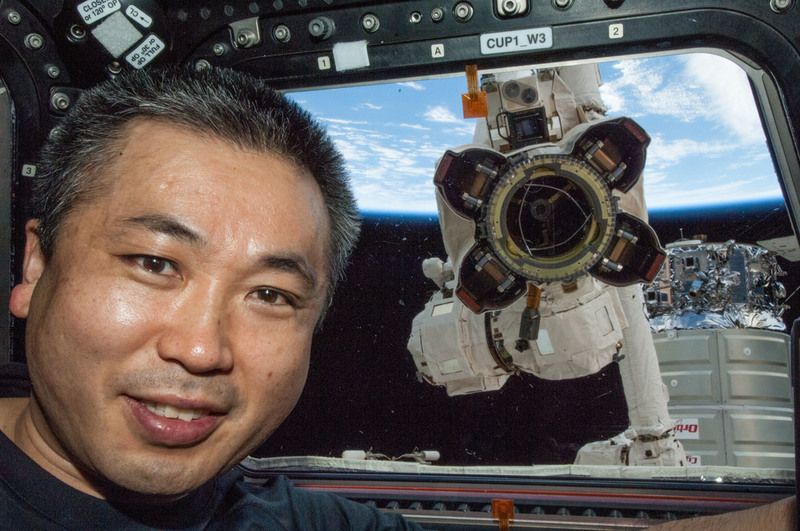 ISS Commander Koichi Wakata poses with the end effector of Canadarm2. Notice the three semicircle indentations set in the collar of the inner chamber? 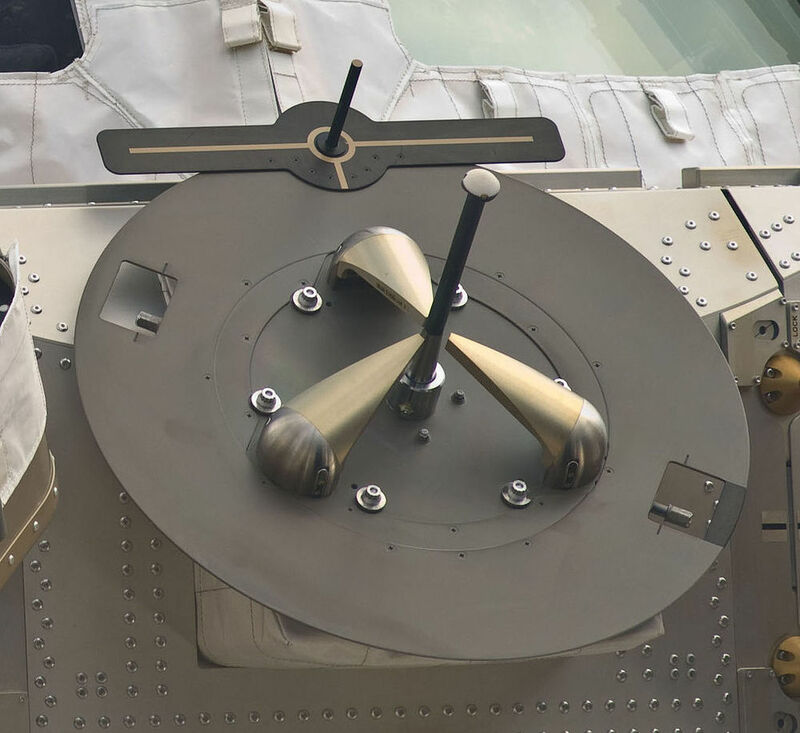 Those fit with the "ramps" on a grapple fixture.